This is exquisite—the writing, the heart, the spiritual vision. The card-in-the guitar reminds me of those Buddhist sand mandalas: transient beauty, everyday art. 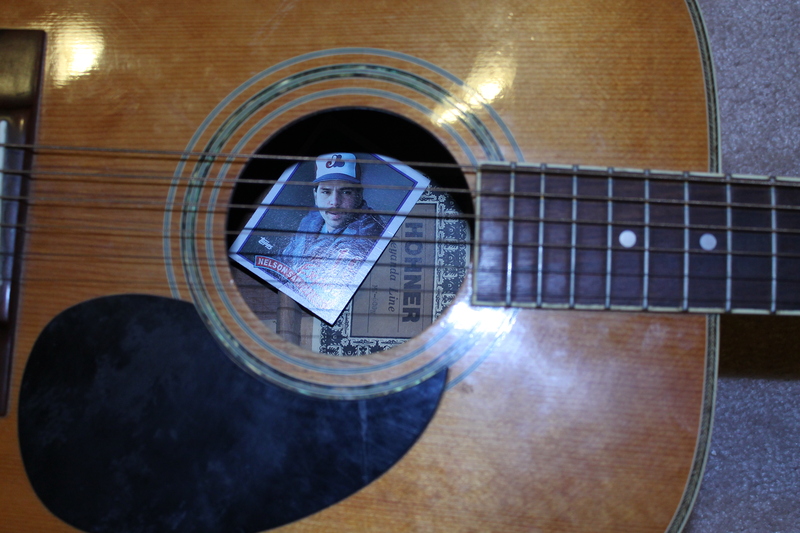 Putting the cards in the guitar also seems like craving for safekeeping and order, a good kind of sorting. I know you said in your LA review of “Art of Fielding” that these days you are estranged from great beauty, but I have to disagree. This writing is like Melville with baseball cards And in terms of what you said there about taking risks, I have to say one of my favorite parts in “Cardboard Gods” was when that coach told you to bunt on your last at-bat and you smacked a double. Yes! I hope you keep on swinging, taking risks, finding wonder in baseball and your family, taking the measure of great beauty. Thanks for the encouraging words, Peter. Much appreciated!